The Geneva Seal story began over 35 years ago when our family founded a diamond wholesale operation whose clientele reads like a who's who of famous jewelers. Throughout the years, we have formed relationships with some of the top jewelry houses in the world and have developed a substantial network for obtaining the finest diamonds and rare and precious stones. Our diamond buying office is still located in Chicago, so you can be assured that you will find the finest jewels available. 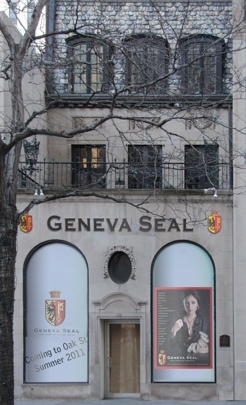 Geneva Seal's retail location in the heart of the Oak Street shopping district has brought our unique jewelry experience directly to the most discerning international clientele. After 10 years on the Corner of Oak and Rush... We opened the doors to our new showroom located at 112 East Oak Street. With our new space, we are able to offer the same impeccable service and unique products in a sleek and modern setting.